Oh wow, thanks for including those songs! I loved listening to them. I’m struggling through a lot of these chapters, too, but Melville’s sense of humor popping up every now and then helps me along. I loved that description of the huzza purpose as well. I have struggled with the first half of the book as well for many of the reasons you mentioned. 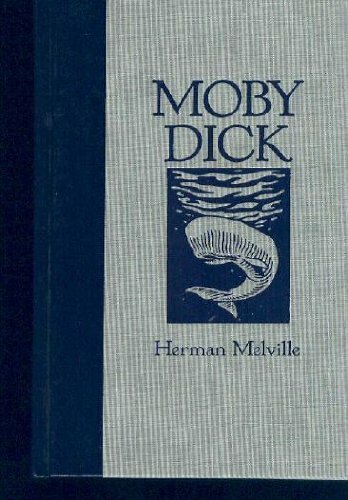 I think that Melville struggled with his desire to entertain and tell a story and his desire to educate people. It also seemed like he was incredibly ambitious in what he wanted to do with the novel and in taking on so many different formats and points-of-view, some of them inevitably failed. The writing has been a redeeming point for me. When I’m frustrated with the overwhelming minutia I often come across a paragraph so beautifully written it takes my breath away. It’s so interesting what a powerful force Ahab is even though he’s not actually present in many scenes. Good point about the inner monologue. Melville doesn’t seem all that concerned about following any rules, or staying focused for that matter. He’s overly concerned about us believing the “big event” when it happens that I fear we’ll never get to it! I loved the music, especially the guys voice in the first one. I’ll have to investigate! You’re very welcome. Unfortunately the humour seems to be being spread more thinly since leaving land, but it’s worth it when it pops up. Good to see it’s not just me struggling through (I’m still here almost a month after I’m supposed to have finished it!). I agree that it’s a hugely ambitious undertaking, but the conflicting aims aren’t really working for me. I’m starting to worry about that myself! I’m glad to have introduced you to some new music.